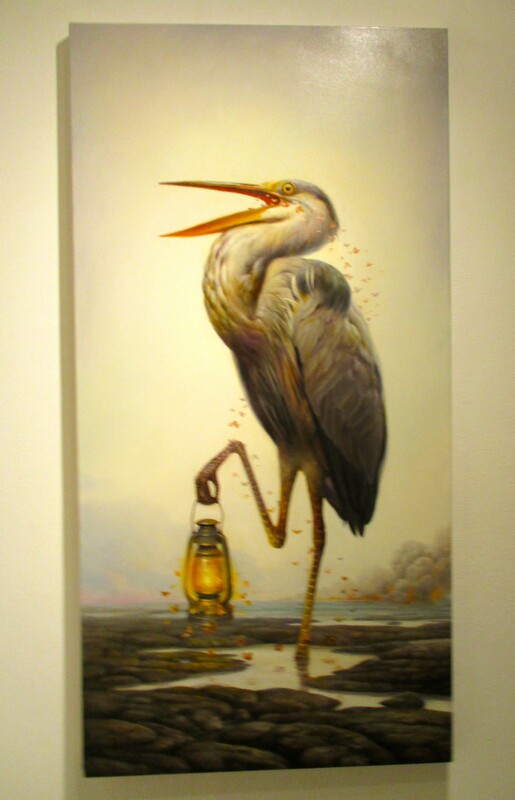 Putting a surrealist, almost sci-fi spin on the paintings of American ornithologist John Audubon, and recalling his contemporary Josh Keyes‘ “after man” images of animals running amok in a modern society that is strangely absent of all human life, artist Martin Wittfooth delivers Offering, his first solo exhibition at the Jonathan LeVine Gallery. 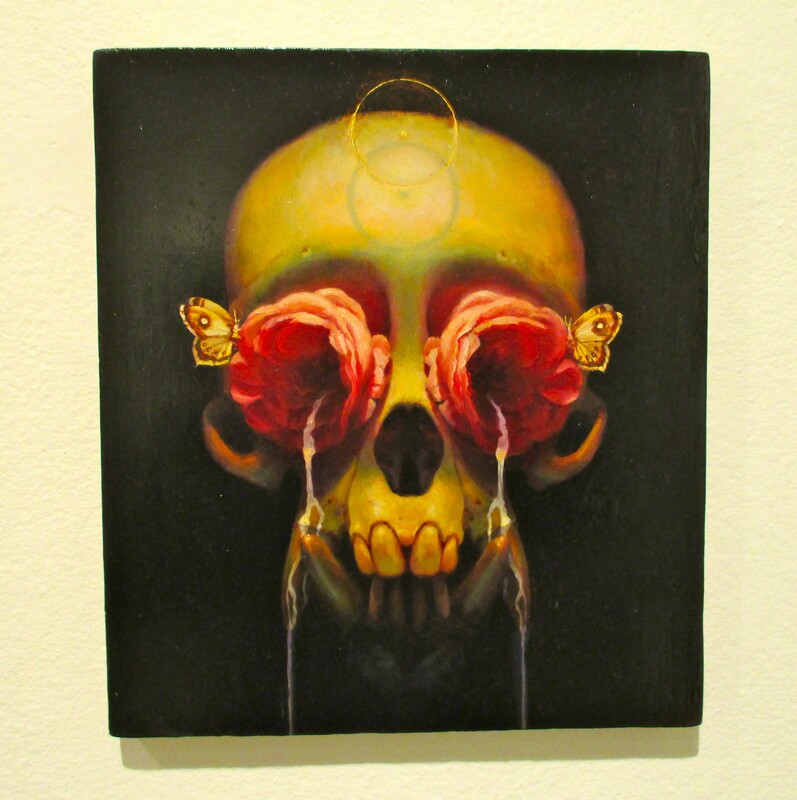 After being fascinated by Martin’s work for years as part of group shows in galleries like Stephen Romano and RH Gallery, as well as many shows at LeVine, it was amazing to see so many of his captivating canvases gathered in one exhibit — at a gallery that definitely knows how to best serve this artist’s work. 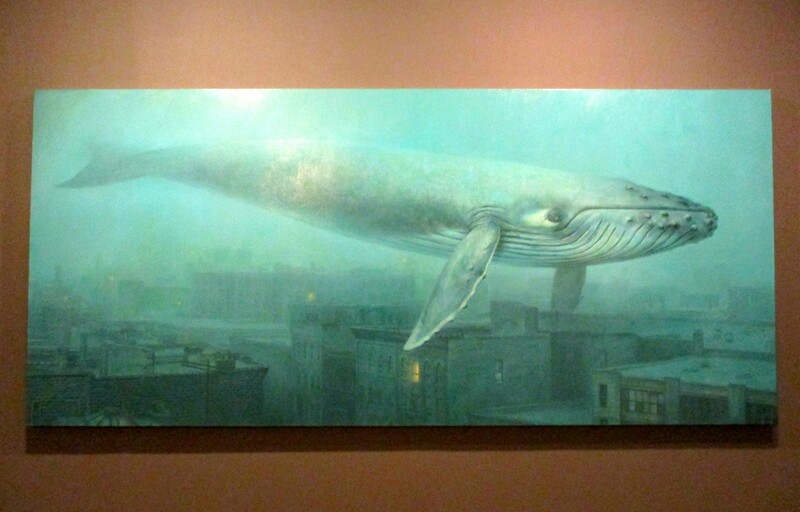 In Dawn, a painting that takes up one entire wall of the main gallery space, a whale glides through an underwater cityscape that, judging from glowing lights visible in distant, scattered windows, likely still has inhabitants of some kind. 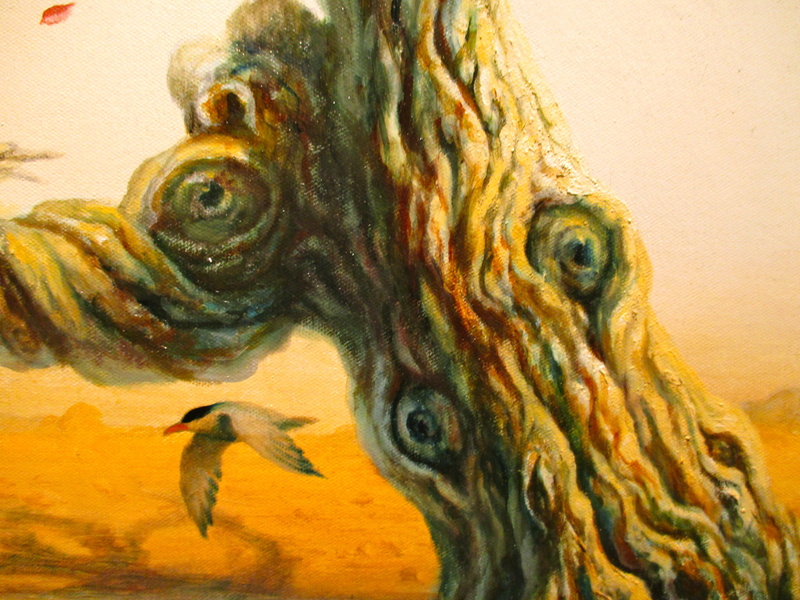 In Witness, a close examination reveals that the knots on a lone, nearly desiccated tree reveals that the tree actually has eyes. Heavy. 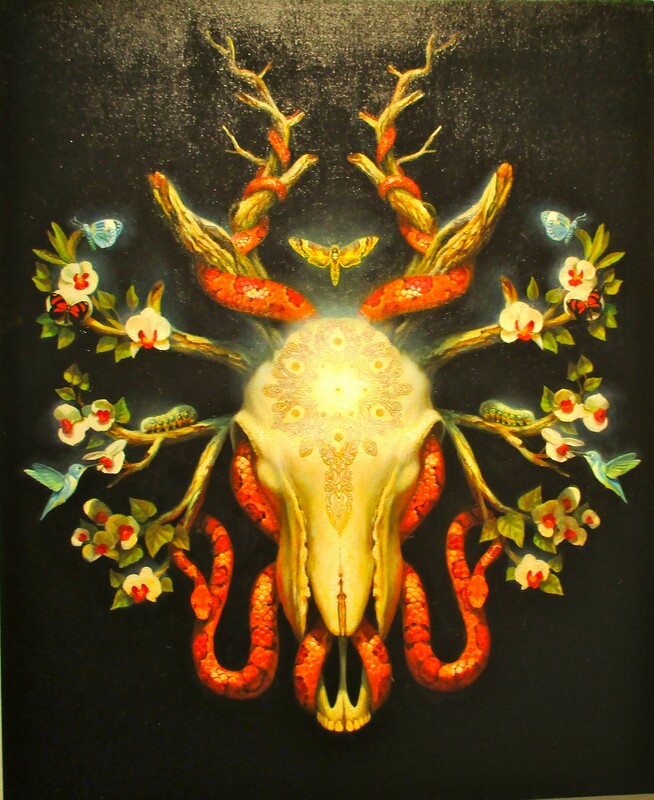 Martin explains that the works in Offering explore the theme of shamanism and its current revitalization around the world. 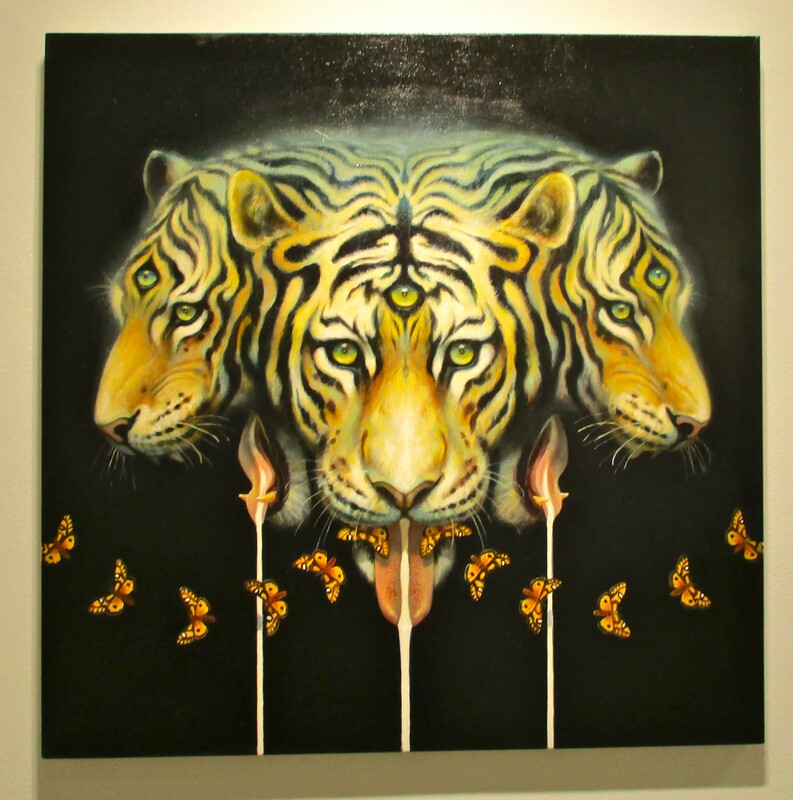 These paintings delve into the notion that the rediscovery of shamanistic practices, such as reaching an altered state of consciousness, is peeling away our egos and materialistic obsessions and encouraging a connection with nature and to each other. 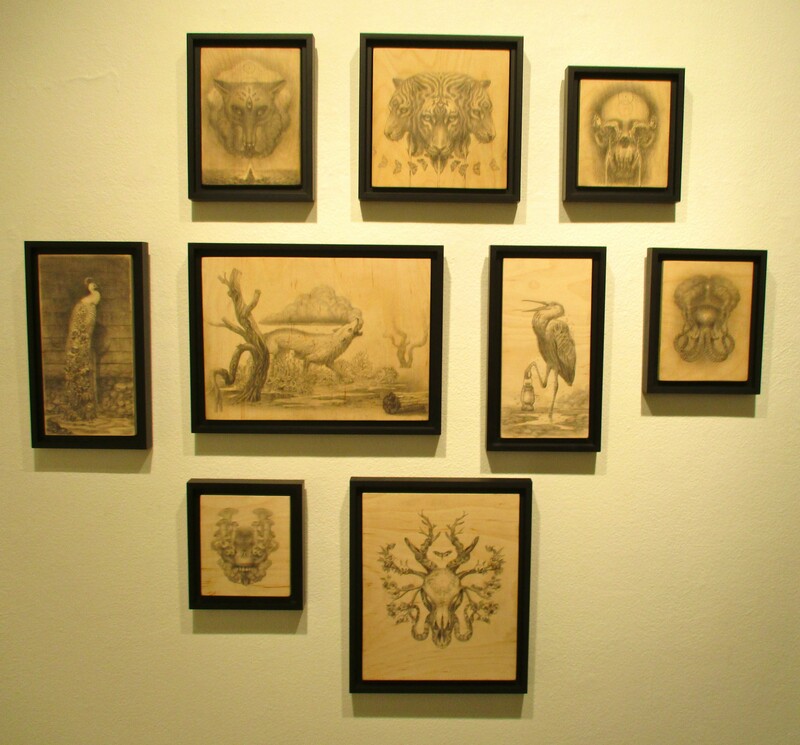 Sketch Studies for the all of the paintings in the exhibit are also on display and available to own. 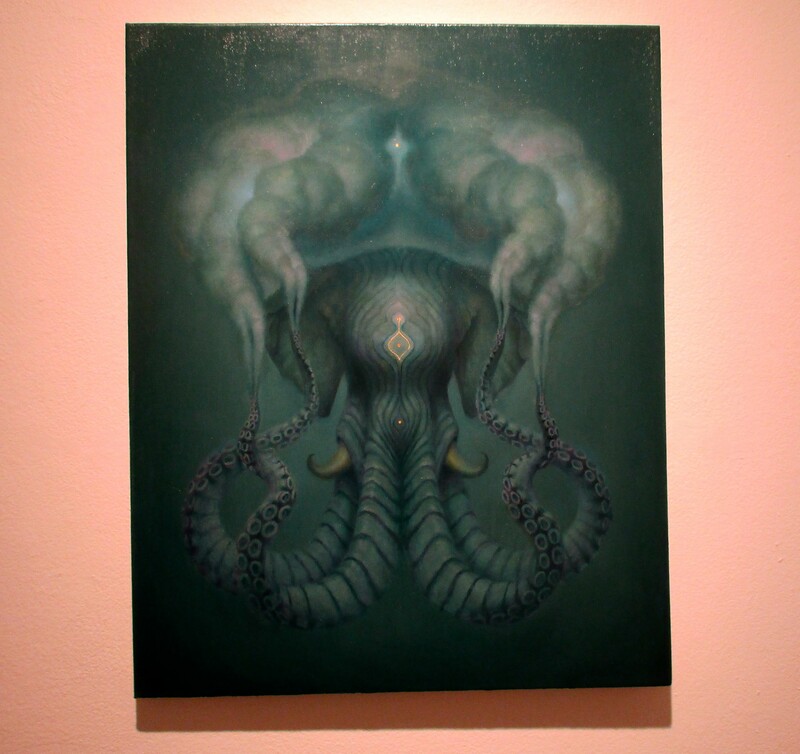 I love this painting of an Elephant/Octopus hybrid. 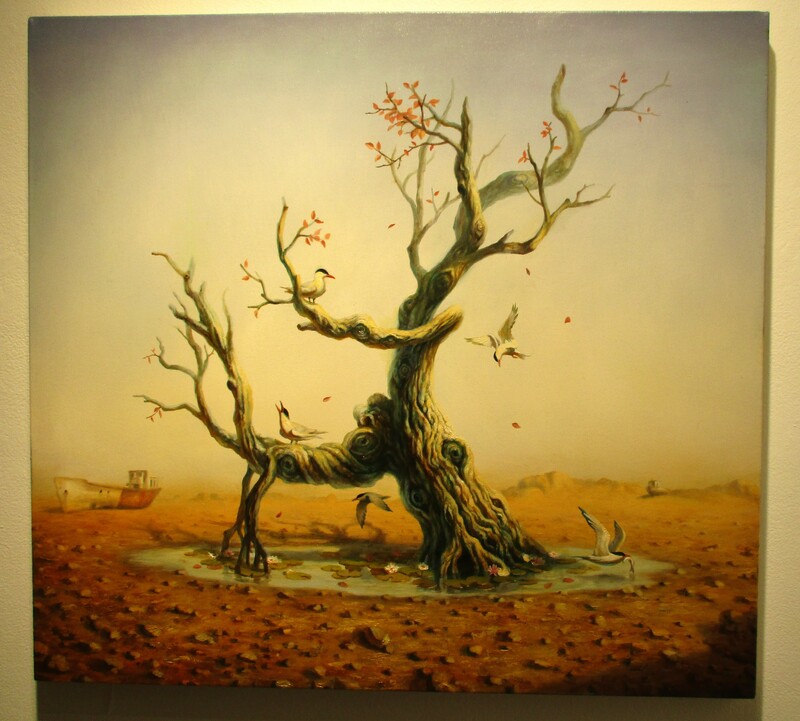 It reminds me of This Painting by Robert Deyber, an artist Martin said he was unfamiliar with. 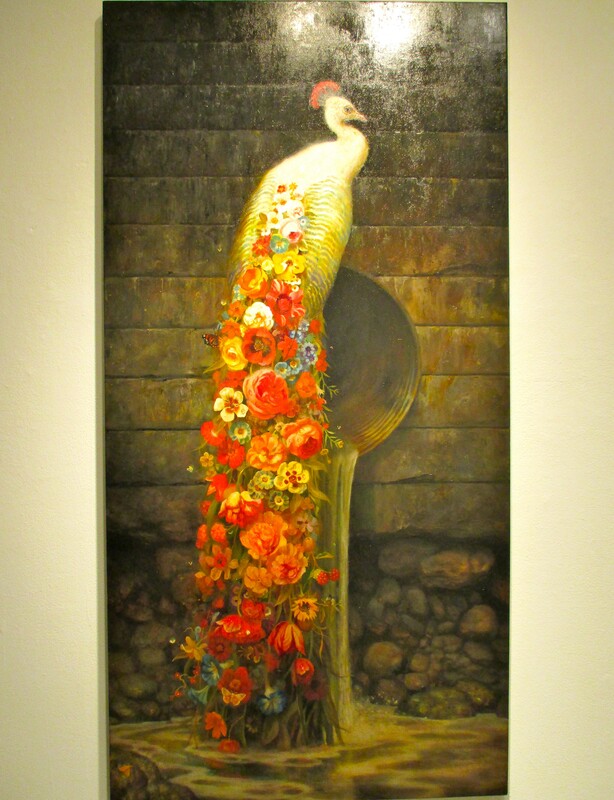 The paintings aren’t that similar, but it was just an observation. 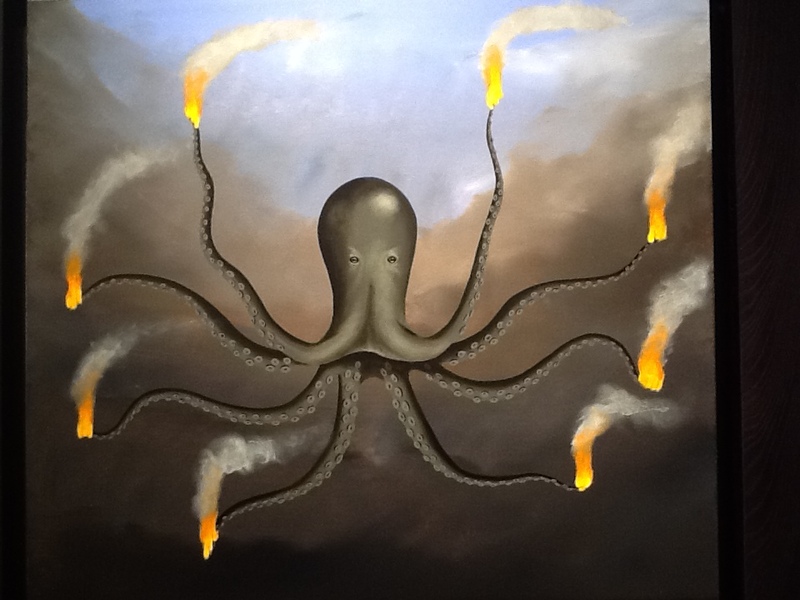 Be sure to check out Offering while you can! 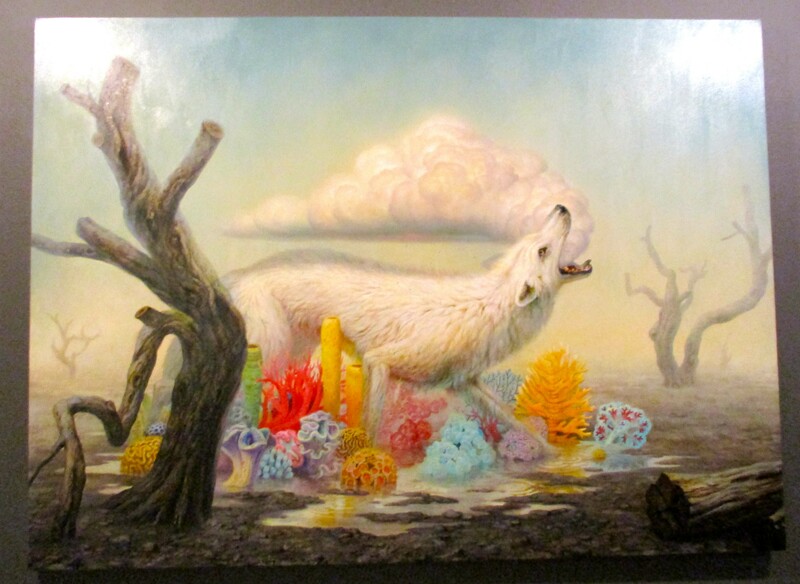 Martin Wittfooth’s Offering will be on Exhibit Through November 14th, 2015 at Jonathan LeVine Gallery, Located at 529 West 2oth Street, 9th Floor, in the Chelsea Gallery District.